Port St. Lucie is a city located in St. Lucie County, Florida. It has a population of about 174,000 residents and belongs to a larger Metro area with about 450,000 residents. The city may not be the most-known in Florida, but many visitors and snowbirds still come to the area every year. Visitors and part-time residents bring with them a unique driving style. They also don't have the same familiarity with the roads as a local does. With a combination of many regular residents and visitors, the roads can be dangerous and very congested during peak season. Three major roads serve the area including Interstate 95, Florida's Turnpike and US 1. The Florida portion of I-95 has been rated at the deadliest highway in the United States. More than 180,000 vehicles travel on I-95 in Florida every single day. From 2004 to 2008, I-95 saw 765 total fatalities in Florida from car accidents. The southern location means those traveling to Miami and other parts of South Florida will pass through Port St. Lucie on I-95. Traffic crashes in Port St. Lucie are on the rise. Without proper monitoring of roads, the statistics for the area would be much worse. A total of 25,433 traffic tickets were issues in St. Lucie County for 2015. Out of these tickets more than 18,500 were for speeding with another 1,300 for careless driving. Only 9% of the total number of tickets were dismissed by a judge. The chances of you getting out of a traffic ticket are very slim. After too many tickets, in a short amount of time, you will have your Florida driver's license suspended. This means you have to find a ride to anywhere you want to go or call a cab. Not only will it be a hassle, but it will also become expensive in a hurry. Driving on a suspended license in Florida comes with a sentence of 90 days in jail and up to an additional $500 in fines. This doesn't include reinstatement fees or fines for the tickets you received to end up with a suspended license. Each ticket in Florida comes with points ranging from 3 to 6 per ticket. The worse the offense, the higher number of points, such as causing an accident while speeding, which is worth 6 points. Get 12 points in 12 months, 18 points in 18 months or 24 points in 36 months and face a 30-day, 90-day or 365-day license suspension, respectively. 3 points for a curfew violation, open container violation or speeding at less than 15 mph over the posted limit. 4 points for passing a stopped school bus, careless driving or speeding at 15 mph or more over the posted limit. 6 points for leaving the scene of an accident or causing an accident while speeding. 3 or 4 points for other violations. It only takes a few tickets to get your license suspended. 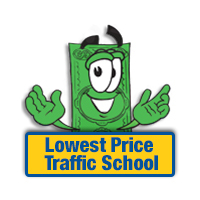 Online traffic school allows you to eliminate the points from one traffic ticket per year. You can use the basic driver improvement course to get rid of the points of your most recent ticket, but you cannot avoid the fine. Start by paying the ticket with the clerk of the court. You also want to inform the clerk that you will be taking the basic driver improvement course online. Then, enroll in online traffic school and complete the course at your pace. Once completed, you will receive a certificate of completion, which you need to turn into the clerk of the court. After you do this, you won't have to worry about the points going on your license. This helps to keep your license clean and avoid higher insurance rates. 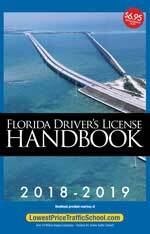 In the State of Florida, you can use traffic school to avoid points on your license once per year and five times in your lifetime. If you haven't taken the class in the past 12 months or five times total, you're eligible. All moving violations issued in Port St. Lucie are handled by the St. Lucie County Clerk of the Court. You will need to inform the clerk of the court if you plan to enroll in traffic school, as well. This is where you will turn in your certificate of completion, too. For more information about the St. Lucie County Clerk of the Court, visit their website.